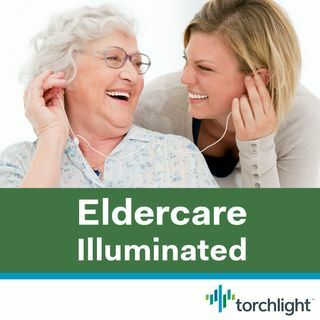 Join this episode of Eldercare Illuminated to hear how this working caregiver and her father are weathering the changes that the last few months have brought. Alison and her siblings were anticipating that driving was about to become a problem for their now 93-year-old father. This and other changes have made it necessary for Alison to spend more time helping out and more time figuring out how to assist in ways that preserve her father’s sense of purpose and independence. Host Lenore Tracey ... See More invites Alison to explore how this chapter in her caregiving story is affecting them both. Alison Fox heads Service Operations and Support in her job at Torchlight. It could also be argued that she heads Service Operations and Support as the main caregiver for her family’s aging father. With a great sense of humor and top-notch project management skills, Alison puts her years of experience coordinating client services to excellent use in managing the daily needs of an active nonagenarian.